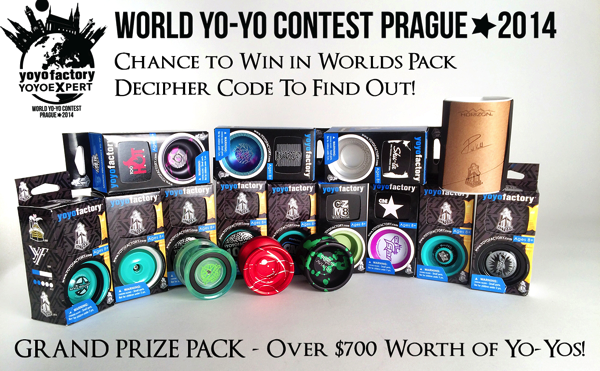 YoYoExpert Blog & Yo-Yo News – Last Chance to Grab a Worlds Prague Pack! Last Chance to Grab a Worlds Prague Pack! Greetings from the beautiful city of Prague where the World Yo-Yo Contest is starting today! 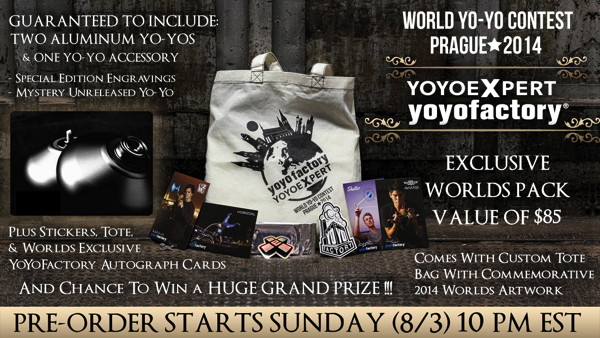 Today is also the big day – the YoYoExpert x YoYoFactory Prague packs start shipping! Place your order and it will ship today – but don’t wait too long! By the time you read this they may very well already be gone! What makes this pack even more amazing is that one lucky person is going to walk away with a GRAND PRIZE worth over $700 yo-yos! There will be a secret code with your pack – decipher the code to find out if you are a winner! Keep an eye here on our Blog as well as Instagram, Twitter, & Facebook for updates!